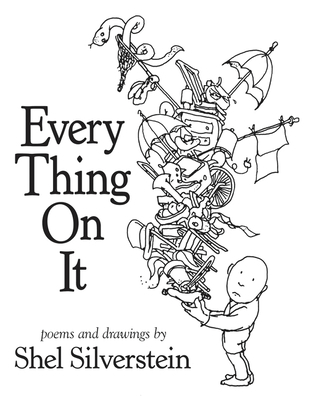 From New York Times bestselling Shel Silverstein, celebrated creator of Where the Sidewalk Ends, A Light in the Attic, and Falling Up, comes an amazing collection of never-before-published poems and drawings. Have you ever read a book with everything on it? Well, here it is! You will say Hi-ho for the toilet troll, get tongue-tied with Stick-a-Tongue-Out-Sid, play a highly unusual horn, and experience the joys of growing down. What's that? You have a case of the Lovetobutcants? Impossible! Just come on in and let the magic of Shel Silverstein bend your brain and open your heart.